What can I expect from my first Pilates class? Before attending you will be asked to complete a health declaration to ensure that you are safe to participate in the group. Mats and small equipment are provided, but you may bring your own mat if you wish. You will need to bring a small towel, and some loose or stretchy clothes that are easy to move about in. The class ends with a short, guided relaxation. Hopefully, you will enjoy a fun group and leave feel rejuvenated and re-energised! See what some of my clients have said about my classes. I prefer to pay-as-I-go, is this possible? 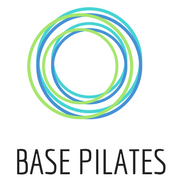 Pilates class sizes are limited to ensure safety and quality teaching, so a drop in system isn’t ideal, as this may make some weeks over-subscribed, which then means that attendees may not receive the level of attention necessary. Block payments are in place as the practice requires some degree of commitment to gain the most benefit. There is no ‘keeping up’ in Pilates. I actively discourage it in my classes! Only work to your own level, and the only comparison you ought to make is with your past self – not anybody else! We all come to class with different bodies, minds, stresses, aches, etc. Just congratulate yourself for being on the mat! I am a firm believer in the power of movement. That said, the exercises should never be painful. Please speak up if you experience any discomfort during or after a Pilates class, so that advice or reassurance can be offered as appropriate. As an experienced physiotherapist and Pilates teacher, it is my duty and my wish to ensure you have a great movement experience that helps you attain your goals. Not if you don’t want there to be! Usually within a term we will work towards an exercise that can be challenging – exploring different modifications as the weeks go by. It’s quite informal, but if you have a specific target area, or would like homework – I will happily oblige!